Players often feel that if the don’t do their “thing” before competing in a match, they could jinx the game. For that reason, they have their superstitions. Watch the UIC women’s volleyball team before a game. Did their tradition before each match help them get to the Horizon League Conference’s women’s volleyball tournament this weekend? Before the broadcaster announces the lineup, the Flames huddle in the corner of the gym, chanting “UIC, UIC” multiple times before the starters run to the end line to shake the opposing team’s hands. The players have their own way of preparing. Some listen to the same song on repeat while others eat the same meal before each match. 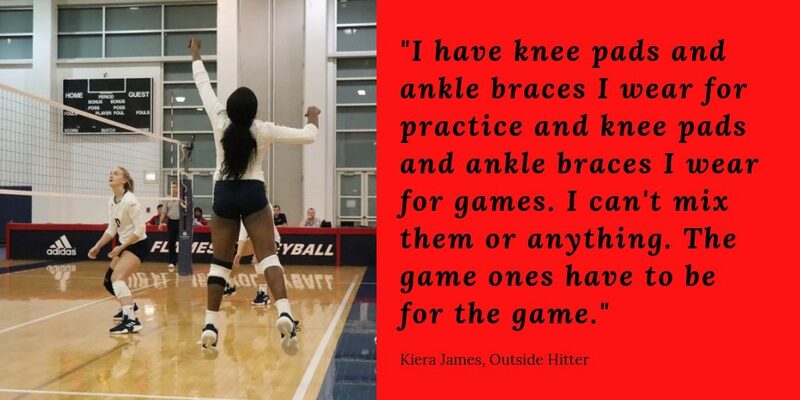 Regardless of the person, the starters of the UIC women’s volleyball team each have unique superstitions that they follow before competing in a game. One of those players is outside hitter Kiera James, who leads the team in kills with 325 for the regular season. The redshirt freshman listens to music before stepping out on the court. Not only that, but she relies on certain equipment she must wear, too. Middle blocker Tatyana Ndekwe sets up the block for UIC as she dominates the stat sheet with 106 blocks. Just like James, the junior has her own methods of preparing for games and getting herself in the mindset to do her job once she steps on the court. 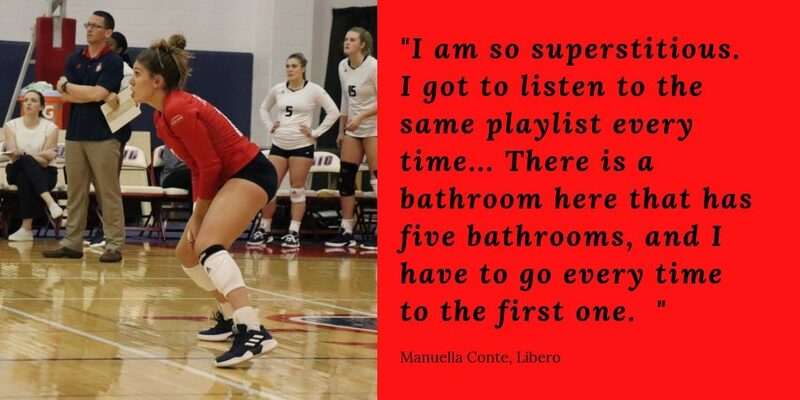 Libero Manuella Conte controls UIC’s backrow defense, registering 475 digs during the regular season. The redshirt sophomore has to listen to her music, but also has to make sure she does one other thing before starting a match, she said. As the Flames prepare to take on Milwaukee in the quarterfinal round of the Horizon League championship Friday, they spent hours of practice getting the game plan together. Now that the day is almost here, it will come down to talent, and maybe a little bit of superstition, to get them through to the next round of the tournament.